Heading out of town for an extended vacation or work assignment can be very exciting. While dreaming of new sights to see, foods to tastes, and adventures to experience, remember there is more to your trip than booking your flight and hotel. You are leaving your home susceptible to theft and damage if you do not prepare ahead of departure. A few well-planned steps will keep your home safe and give you a haven to come back to. Not only can a 5A Rent-A-Space storage rental near Lafayette help you store infrequently used items, it offers an option when you have someone house-sitting for you. We offer a variety of sizes to suit your specific needs. If you need supplies, we sell a full line of packing boxes and tape.
. Save Money by Adjusting the Thermostat: Why run up big electricity bills in a vacant house? Adjust the temperature on your thermostat so that it is warmer in the summer and cooler in the winter.
. Keep Up Appearances: Utilize timers to turn on and off the lights at appropriate times. You can deter would-be thieves and have the lights on when you arrive home late.
. Stop Your Mail: Bills and packages stacking up in your mailbox or on your front porch can attract intruders. Stop by your post office or use their online form to request your mail be held while you are out of town.
. Let Your Bank and Credit Card Companies Know You Are Traveling: Today’s financial services technology is excellent. When a purchase is made in an unusual area, your bank or credit card company can deny your transaction. Follow their requirements for notifying them of your travel plans and avoid fraudulent purchases while you are on your trip.
. Instead of Leaving an Empty House, Find a House Sitter: Why leave your domain vulnerable when you can have someone stand watch by staying there? Invite a family member or close friend to live in your home while you are gone. They can collect your mail, water your plants, and take care of your pets when you cannot be there. If you rent a storage unit near Lafayette, you can make space in the spare bedroom for your house guest. Gain peace of mind and put excess stuff in a storage unit to make room for your extended stay house sitter. A 5A Rent-A-Space self-storage unit near Lafayette helps you tuck away seasonal things from the guest closet or stow away items you want to keep out of the way, so your guest has plenty of room. Relocating a house full of belongings and children is tough. Often, when we start the moving process, everyone’s stress levels increase, including those of our beloved pets. Each one of our fur babies looks to us to provide them with food, shelter, and care. When tensions escalate at home, they sense it. Also, they may not take to change as quickly as humans do. You can do much to decrease the stress moving brings for your four-legged family member. There are many challenges to transitioning from one home to another. 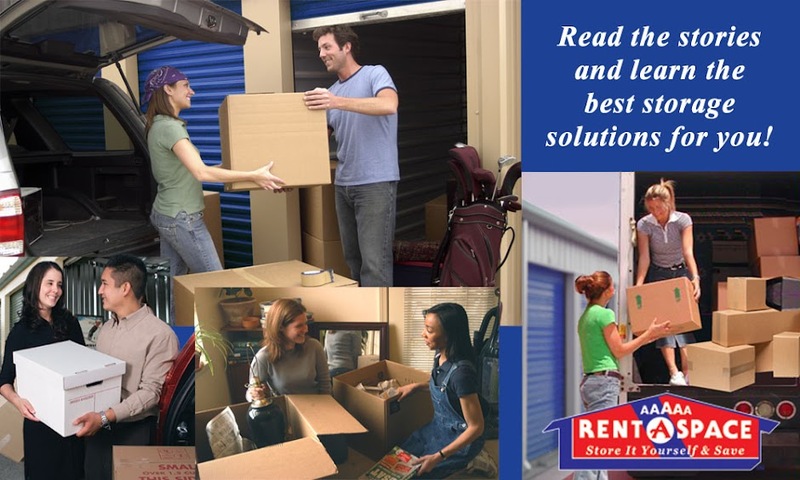 In the midst of all the sorting and packing, a 5A Rent-A-Space self-storage facility near Lafayette can help. Keep the home free from clutter so your family and pets are not inconvenienced. Adjusting to the new surroundings will also become easier after you move if there is enough space for everyone. We have a variety of sizes to fit your needs and can even move you in with our free van when you rent a unit.
. Pack an Overnight Kit: Keep all their important items handy by packing an overnight kit. Be sure to place food, litter, toys, grooming tools, and favorite blankets in this kit. You want to have everything at your fingertips to help them transition easily.
. Talk to Your Vet: If you are moving far enough away that you can no long use your veterinarian, ask for Fido’s records including medications. It is advisable to seek out a recommendation for a new veterinary clinic. Once you have settled in, update their tags and microchip information.
. Keep Your Pets in a Separate, Quiet Place: On moving day, there will be a lot of action happening. You might even have strangers in your home if you hire movers to help. Choose a room in your home that can be quickly emptied. Put your pets in this room with water and food. Check in on them as the day progresses. Take them outside at their regular times. Keep their schedule as normal as possible.
. Transport Your Pet in Your Car: It might be tempting to put your cat’s crate in your mom’s car and let her transport Fluffy to your new place. A better option is to put your animals in your car. They can hear your voice and be calmed by your presence.
. Keep them Secluded: Once you arrive at your new home, find a place to keep your dog, cat, or bird away from the action of unpacking trucks and moving furniture. Find a room that can be filled up last and let them explore this safe haven. Be sure to look in on them frequently and give them a lot of affection. Create a safe and secure environment during your moving and unpacking phase by renting a 5A Rent-A-Space self-storage unit near Lafayette. You can take your time unpacking and give your pets more attention during this transition. Think for the Future About Heading Back to School in the Fall -What to Take, What to Store in a Self-Storage Facility near San Mateo? Nothing is more relaxing than your last day of the school year. No more headaches to deal with. No more professors demanding your time. Now is the time to sit back, drink a cold soda, and enjoy the dog days of summer. That is, of course, until after summer is over and it’s time to head back to college. All those boxes you packed in the back of your car will need to be repacked for another year of classes. The biggest problem you may be facing is how to get everything you “need” into your dorm room or super small off-campus apartment. Space is at a premium, so expand your space by utilizing a self-storage facility near your San Mateo campus. While you may have a good idea of what you can and cannot live without, Mom and Dad may have different thoughts. Avoid treating your old bedroom as an additional storage room and let your parents fight over turning it into a man cave versus a day spa. 5A Rent-A-Space has a variety of unit sizes just right for your dorm room overflow. With our convenient location near San Mateo, you can easily access your belongings throughout the school year. Blankets: As the seasons change, you may find that your summer bedspread is not heavy enough to keep you warm in the fall and winter. Tuck away your heavier blankets and quilts in a storage rental unit until it is time to get cozy again. Remember to put them into those great zippered covers, one of those bins with a lid or other plastic container, to keep them dust free and fresh. Furniture: Keep extra futons, couches, tables, or dressers that are too big for your living area. This beats hauling it back to your family’s home. Protect the upholstered items with a sheet or tarp. Seasonal Clothing and Equipment: Face it, college living is challenging. There is never enough closet space when you need it. Free up room by packing up your winter stuff until you need it. This includes your sports equipment. You can tuck your skis out of site and then switch them out for your bike when the seasons change. Get one or two of those great clothing boxes with the bar at the top to store off-season clothes. Remember to add a piece of cedar or other moth deterrent for protection. Can I share the unit with another person? Depending on the company, you might be able to. There may be additional fees or conditions, so be sure to check out the fine print. How do I access my stuff? Each facility has different hours. Check them out and find one that is convenient for your lifestyle. Getting your belongings back to school will not be a nightmare if you work with the storage team at 5A Rent-A-Space. We can help you determine the best unit size for your needs without breaking the bank. Reserve your self-storage unit online now. Call 5A Rent-A-Space at 650-338-0016 or toll-free at 1-800-5ASPACE (1-800-522-7223) to learn more. Not sure how much space you will need? Use our online Space Calculator to estimate the best unit size for you. Life has a way of taking unexpected turns. One moment you are set on your life plans, and then in the blink-of-an-eye, new opportunities pop up to take you in a different direction. You may find that to take advantage of new horizons requires finding someone to take over your current lease. After going through the arduous process of finding a qualified sub-lessee, you need to clear out your home. No matter whether you are downsizing, preparing for a new job in another area, or an extended summer trip, storing your belongings helps the sub-leasing process go much smoother. Utilizing a storage rental unit near San Mateo can make life easier and much more straightforward. 5A Rent-A-Space has a variety of unit sizes to fit your needs. We even have a convenient Storage Unit Size Guide with an in-depth calculator to help. 1.) Different sizing options: Storage rental companies understand that not everyone needs to store the same amount of stuff. Whether you want to pack away seasonal items or your whole house, you can. 2.) Get that furniture out of the way: Generally, if someone is going to move into your rental, they will have their own furniture to use. You can quickly, and efficiently, get all your furniture out of the way and safely stored. 3.) Stuff personal items out of sight: Even if your tenant wants to use your furniture, you should remove any personal items. This safeguards you from identity theft and gives them an opportunity to enjoy their temporary home. 4.) Convenient access to your wares: A storage unit near San Mateo is easily accessible when you need to get something in a hurry but don’t have the space to keep it at home. 5 5. )Easily accessed locations: What better way to keep your items safe than in a storage facility? Many self-storage units offer video surveillance and ID only entry gates. Go ahead and enjoy this next exciting adventure by taking advantage of a storage rental unit near San Mateo. Give your tenant the room to enjoy your home while you are gone. At 5A Rent-A-Space, we have served the community for over 45 years. Not only do we offer storage solutions, we sell a variety of packing materials including boxes, tape, and bubble wrap. Plus, when you rent a self-storage unit from us, we move you in with our free moving van. Consider us your one-stop shop for all your moving and storage needs. Reserve your self-storage unit near San Mateo now. Call 5A Rent-A-Space at 650-338-0016 or toll-free at 1-800-5ASPACE (1-800-522-7223) to learn more.